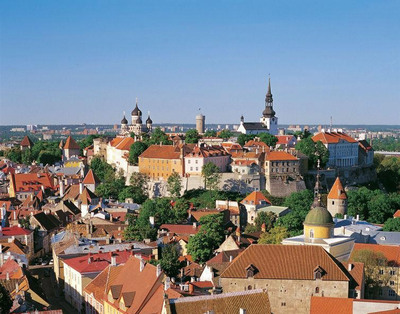 Estonia is the 132nd smallest country in the world yet has some extraordinary world-beating claims to fame, from having the world’s oldest pharmacy to being home to the world’s highest pub ceiling and the third oldest operating lighthouse. This small country is also highly technologically developed. It is 30th in terms of the world’s highest number of internet users, Skype was invented by an Estonian, most Estonians pay their taxes and bank online and their car park fees by mobile phone, yet the country is closely rooted to its nature and heritage. With wireless internet freely available throughout Estonia, even at the national airport in Tallinn, it’s possible to open a laptop in the midst of a national park, or even on a public bus, and connect to the Internet. - Estonia is the most meteorite-cratered place on earth. The largest and best-known meotorite crateris the 80-metre wide, 12-metre-deep Põrguhaud. - Estonia has the 5th most mobile phones per capita anywhere in the world, with around 1,500 phones for every 1,000 people. - Estonian is the least spoken language on Google Translate. - The capital, Tallinn, has the world’s oldest pharmacy still operating in its original location. - Tartu, Estonia’s second city, is home to the highest pub ceiling in the world, the Gunpowder Cellar, whose ceiling is 11m high. - The railway platform at Haapsalu station on Estonia’s west coast is the longest of its kind in Europe at over 200m long and was built so that the Tsar could leave the train on rainy days without getting wet. - St. Olaf’s Church is the highest house of worship in Estonia and between 1549 and 1625 was the tallest building in the world when its spire rose to 123.7m. - The Kõpu lighthouse on the Estonian island of Saaremaa, completed in the 16th century, is the world’s third oldest operating lighthouse. - The biggest multifunctional art centre in Scandinavia and the Baltics is the KUMU, just alongside the Kadriog Park in Tallinn. - Matsalu National Park is the biggest and most biodiverse migratory bird stop and nesting area in the Baltic Sea region and is wetland of international note. - Estonia’s Kaali meteorite crater, measuring 110 metres across, is less than 3,000 years old, making it the most recent meteorite crater in Europe. - Estonia has the third largest number of swamps in Europe and the second largest number of plant varieties per square metre in its woodland and meadows, with 76 varieties. - Estonia’s `Big Egg Hill’, rising just 318 metres above sea level, is the highest point in the Baltics.